Band Saw - Hangzhou Expro Machinery Engineering Co.,Ltd. Hangzhou Expro Machinery Engineering Co.,Ltd. The machine is completely made of stainless steel SUS304. 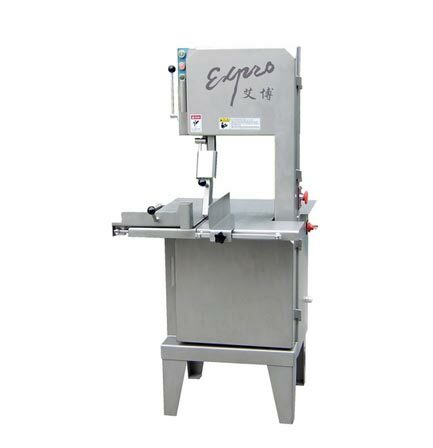 BDJ-400 band saw is designed for cutting frozen meat and meat with bones into pieces. It produces less noise and minimizes meat loss. The band saw blades are imported from Europe. Safety device is installed on the machine and a �feed-on and safe-cut� guide on top of operating table.